This time of year, you’ve probably seen a Harry and David catalogue, or even been the lucky recipient of one of their wonderful baskets. Take a good look at that catalogue because it’s full of inspiration about how you can grow your business. 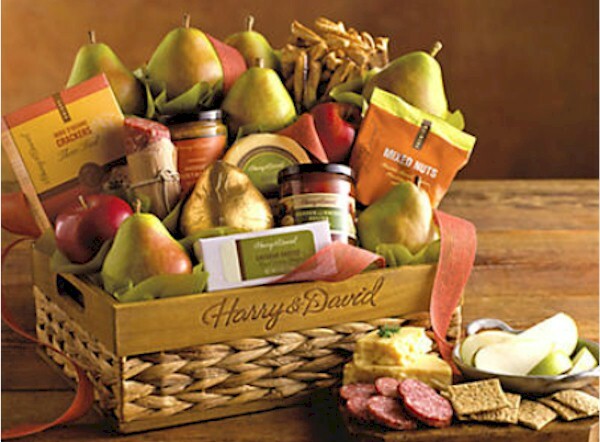 Pears are the cornerstone product of the Harry and David offerings. To that they have added things that compliment pears, such as nuts, gourmet sweets, preserves, and ham. The Harry and David catalogue may make you think they offer a lot of different things. What they really offer are a lot of different packages of a limited number of things. Take away: Create a limited number of products and package them in multiple ways to fit your client’s needs. Make an entry level, a mid level, and a whole shebang level. You can have multiple packages at each level too, just like Harry and David have in their catalogue. You’ll find multiple packages of different items all in the same price range. Have you ever visited a Harry and David store? If you do, I bet they’d be happy to give you a sample of their tasty treats. Take away: Use your blog to give a taste of your products or services to your audience. Create delectable content. Your readers will crave more and they’ll bring their friends for a taste too. You can also make free products or information available to download. When you do, be sure to include a link to your site on it and encourage folks to share it. Promotion is about packaging your products or services and putting pretty bows on them in ways that entice clients to contact you. If you follow the Harry and David approach, you can find multiple ways to combine your resources into valuable bundles that meet each client’s needs and price range.